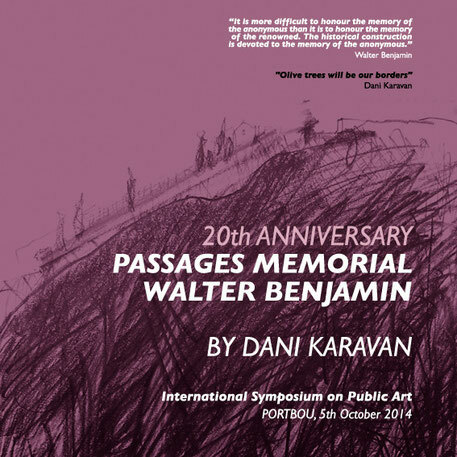 On the 5th October have been held in Portbou the commemorative event of the 20th anniversary of Dani Karavan's Passages Memorial to Walter Benjamin. The Memorial was inaugurated on the 15th May 1994, as an initiative by Bonn's association AsKI, with the support of the President's Office of the Generalitat de Catalunya and of the German federal states. At the same time to the commemorative event, there was an International Symposium on Public Art with the Dani Karavan's participation, and other architects and experts on Public Art. On the 13th and 14th of June took place the Second Film Festival Cinema of the Border and the Second International Competition of Short Films for Youngsters Walter Benjamin, which was held at the Sala Congesta of Portbou. 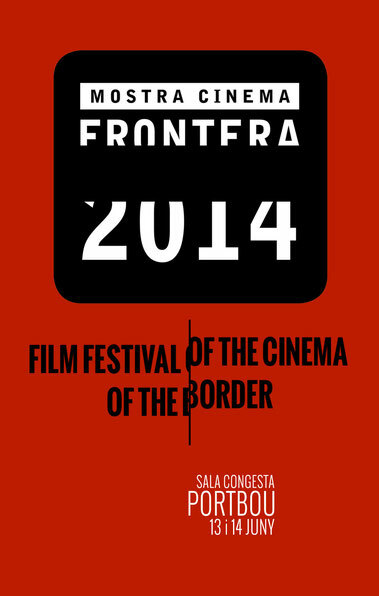 The festival presented two recent full-length films: SOBRE LA MARXA (El inventor de la selva) (ON THE FLY (The Creator of the Jungle), by Jordi Morató, a film on the border between civilization and brutality, and THE SEGOVIA BIG BAND, by Joan Rossell and Gemma Serrahima, a documentary film on the 1976 flight from the Segovia prison, told by the inmates themselves, that serves a reflection on the end of the dictatorship and the transition to democracy. The program included the screening of the 10 short films selected for the Competition Walter Benjamin, as well as TRAMUNTANA, ANADA I TORNADA (Tramuntana, There and Back), the result of the workshop Cinema en curs held at the Escola Sant Jaume de Portbou. 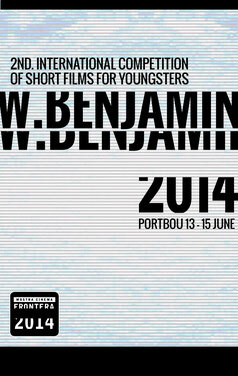 05/06/14: Second Competition of Short Films for Youngsters Walter Benjamin. Selected short films. Overcoming all expectations, the Second Competition of Short Films for Youngsters Walter Benjamin has received 142 entries from all over the world. Aside from Spain and Ceuta, contestants sent short films from Poland, Brazil, Canada, Germany, France, Peru, Egypt, Israel, Italy, Czech Republic , Argentina, Albany, Portugal, Russia, Luxemburg, Belgium, USA, Australia, Greece, Japan, United Kingdom, India, Switzerland, South Korea, Norway and Bulgaria. The jury has selected 10 of those short films to be screened on the 14th of June, Saturday, at the Sala Congesta, de Portbou during the Film Festival Cinema of the Border (see program available in this website).